My heartfelt thanks to book clubs and reading groups that have chosen to adopt Carrying The Black Bag: A Neurologist’s Bedside Tales. Early reviews of my book are most gratifying and I welcome your feedback. I hope you will share the book with others who may benefit from reading it. In addition to information about books, book clubs bring together friends as well as strangers into a sense of shared community. Such socialization is at the very heart of literacy. Whether your book club has a physical meeting place where you share thoughts and feelings about books, sip coffee, enjoy a glass of wine, or if you belong to a virtual book club- the substantial benefits are the same. While I wouldn’t be able to accommodate everyone, I am open and willing to speak to your book club in person or participate via telephone or Facetime. Please contact me for dates and times. To assist those reading Carrying The Black Bag, below are some questions that might help to get the conversation rolling. 1. Does the Doctor’s Black Bag have significance for you? If so, how? 2. Which chapter was your favorite? 3. Which chapter was your least favorite? 4. Who were your favorite characters and why? 5. Did the characters seem real and believable? 6. Did you enjoy the chapters set in Minnesota or Texas better? Why? 7. What were the major takeaway messages of the book for you? 8. Did the book cause you to view a caregiver or person with a chronic disease in a different fashion? 9. Did you feel the author captured the setting and characters and integrated them well into the stories? 10. Did the book hold your interest? 11. Did the author convey how you expected a doctor to relate to his/her patients? 12. How did the author change over the timeframe of the book? 13. Did any part of the book make you uncomfortable? 14. Did you experience a sense of satisfaction and accomplishment upon completing the book? 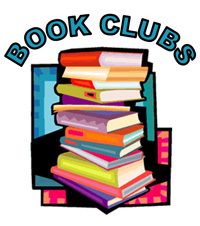 Book Clubs Click on this link for a printable version of these questions.